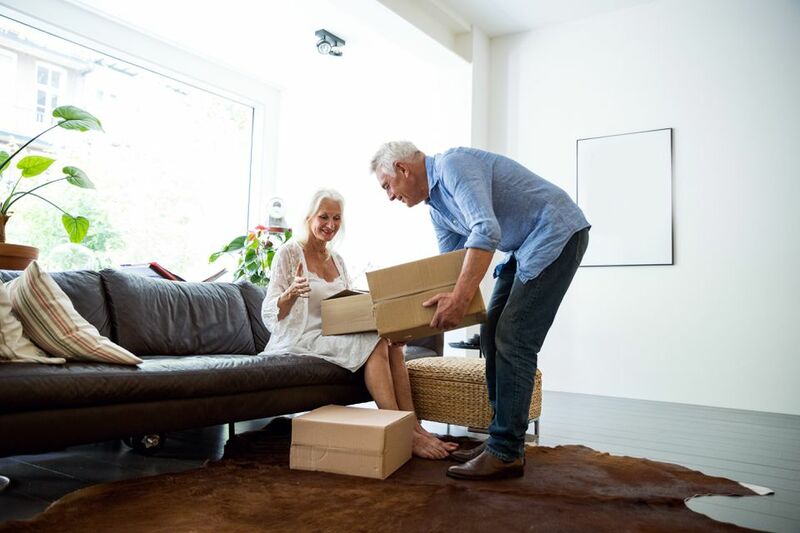 If you're experiencing the empty-nest syndrome or you have an older relative who is moving from a family home into a care facility, you'll need to look at downsizing the current household contents to determine what is needed and what will fit into the new home. Whether you're doing this for yourself or for someone else, downsizing is never easy. We tend to "downsize" each time we move, and I always dread the process. It's never easy to choose and it's even more difficult to give-up items that you've had for a long time. After the death of our mother, my sister and I spent a few months going through her things, trying to determine where we would take everything and who would get what. It was difficult. We didn't want to part with anything as our mother's belongings were all we had left. Before you even decide what you need to give away, decide where it will go; relatives, friends, charities, or to auction. Make a list, then as you go through the house start making piles. Obtain a blueprint or layout of your new home; find out exactly the size of each room, then decide which large pieces of furniture can move with you. Knowing what will fit and what won't fit makes the decision a little easier. First, start with the areas of your home that you don't use much, such as the attic, the basement, the laundry room or spare room. It's easier to get rid of belongings from rooms that are mostly used for storage. Pack as you go. Gather packing supplies and slowly make your way through each room. Get items out of the house as soon as possible. It's so easy to change your mind or to start pulling items out of the pile. If I do use it, how often and why? What purpose does it serve? Do I own another item that can serve the same purpose as this one? Is this item something I love? Does it have sentimental value that can't be replaced? Can I get by without it? Would I have to replace it if I choose to get rid of it? Is it in good shape? Will it last for a long time? Does it need repair, and if so, how much will that cost and is it worth the price? Do I know someone else who would benefit a lot more from its use? Does it serve a purpose in this new life that I'm moving to? Be sensitive to yourself or to the relative that's moving. Remind yourself that your goal is not to get rid of everything you hold dear, but to simplify your life. Be understanding if you or your loved one is upset. Give yourself time to work through it. If you're tired, rest. Take a break. Go for a walk. Talk to someone. Allow yourself to grieve the loss. If you're having a difficult time, ask for help. If you can't decide on an item, remember that it can go into storage until you're ready. Allow yourself or your relative to remember. Belongings all contain memories, so take the time to reflect. It's an important step in possibly letting go. Once you've managed to pack up your home, try to celebrate this new stage in your life. Call a friend. Go out for dinner and just be good to yourself. You deserve it. What Should I Pack for My Move Overseas?